Twice baked, mashed and fried: Here's how to make the tastiest sweet potatoes while they're in season. Nothing says fall quite like a delightfully orange root vegetable. And we're pretty pumped it's sweet potato season. 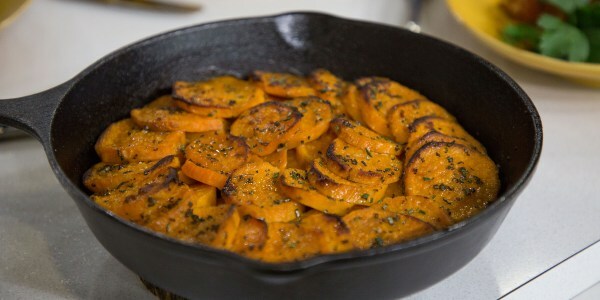 So sweet, so simple and so delicious — the sweet potato is an incredibly versatile vegetable. It's rich in vitamins A, B and C, beta-carotene, fiber and potassium and is an easy swap for regular potatoes, which have fewer nutrients and higher calorie counts. 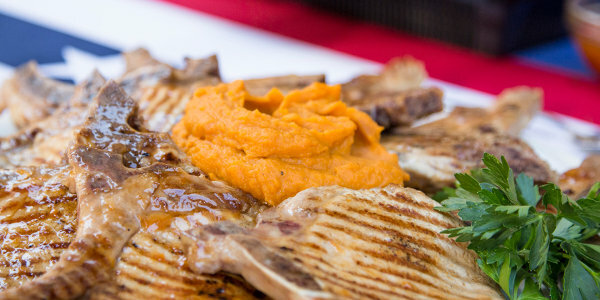 Not to mention, the vibrant orange hue is a beautiful compliment to any dish. 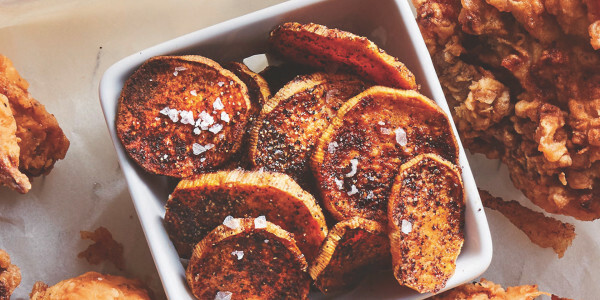 So if you're ready to fine tune your sweet potato game with the best of the best in roasted, fried, mashed or even twice-baked varieties, we've got the methods to make that autumn meal magic happen. Whoa, whoa, whoa. In this recipe, celebrity chef Bobby Flay shares one of his go-to dinner table hits. Did you know the sweet potato is actually his favorite vegetable? With only 10 minutes of prep time, these sweet and smoky rounds are a total treat. Get ready for a Thanksgiving Day showstopper. 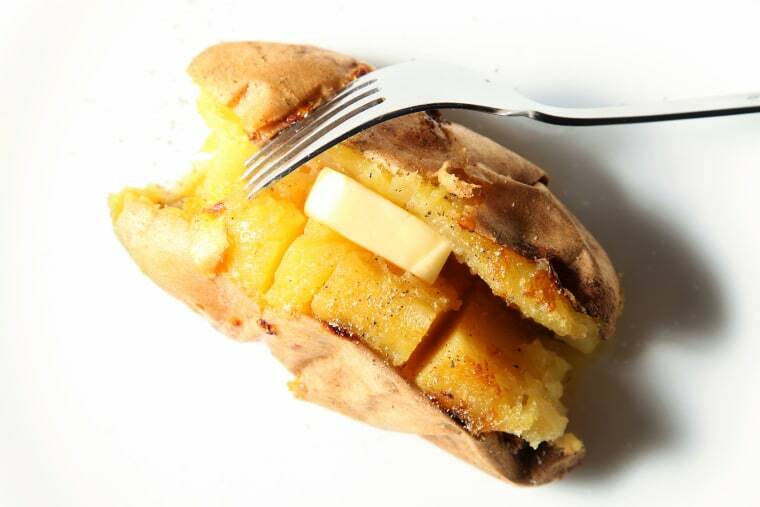 This take on twice-baked potatoes is beautiful and has bacon. Matthew Harris also provides easy swaps to make the dish dairy or meat free when you need to feed a crowd with different dietary restrictions. 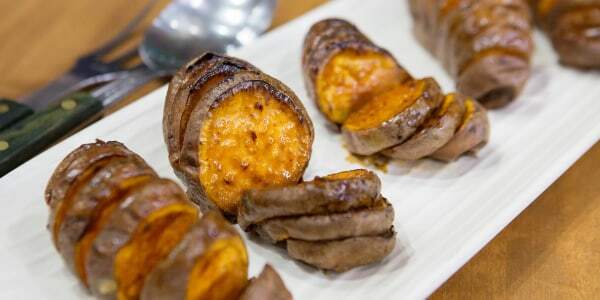 All hail this three-ingredient recipe for baked sweet potatoes. It's super simple to make and looks fab coming out of the oven. 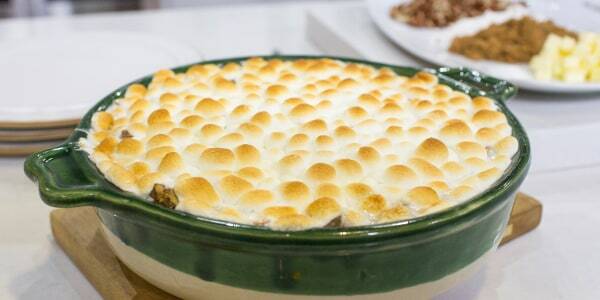 As if sweet potatoes weren't sweet enough already, Katie Lee's sweet potato casserole recipe is a holiday favorite. It's warm and decadent with toasted marshmallows on top and cozy spices like cinnamon, nutmeg and allspice tucked inside. 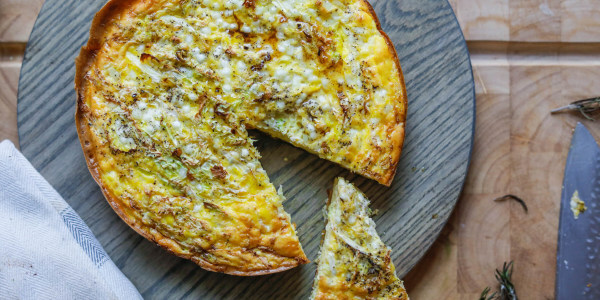 A base of thinly sliced sweet potatoes adds a crispy crunch to this fluffy, veggie-filled frittata. This recipe is a favorite of Olympic skiing champion Lindsay Vonn and was created by her personal chef. 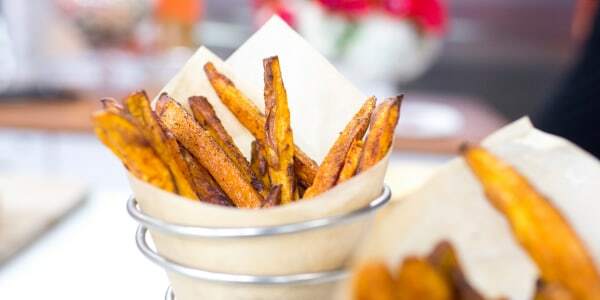 Al Roker leaves the skin on these mouthwatering baked sweet potato fries. He lets the oven do all the work with a high temp and tosses the crispy little morsels in cinnamon and cayenne pepper. Yum. 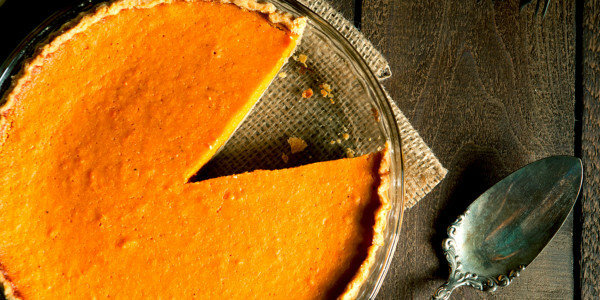 It's hard to list the best ways to cook a sweet potato without mentioning pie, especially when that pie is from superstar vocalist Patti LaBelle. This perfect fall dessert is wonderful if you're growing weary of pumpkin-spiced everything. It has a thin layer of brown sugar on the bottom crust, which adds flavor and keeps the filling from making the crust soggy. 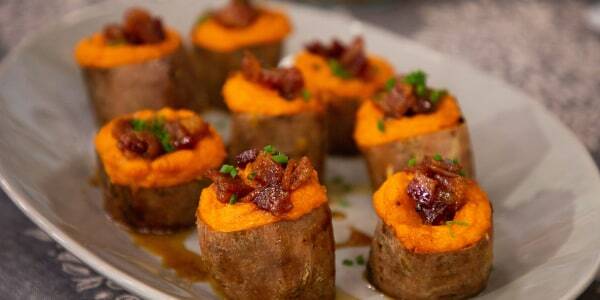 Keep it simple with Sunny Anderson's sweet potato mash. All you need is a little salt and pepper to season to taste and your potatoes will come out smooth and creamy. Anderson serves it as the centerpiece of a heartier meat dish like pork chops — the color contrast always makes a stunning presentation. This recipe from Siri Daly is perfect for all those who love a little spice. But don't worry, these crispy little rounds won't have you begging for water. Flavored with paprika, garlic powder and chili powder, these sweet potatoes make a lovely afternoon snack or a fantastic fall side. These vegan pancakes make an absolutely delicious addition to any breakfast spread. They're made with spelt flour, which imparts a mildly nutty and slightly sweet flavor to the batter. 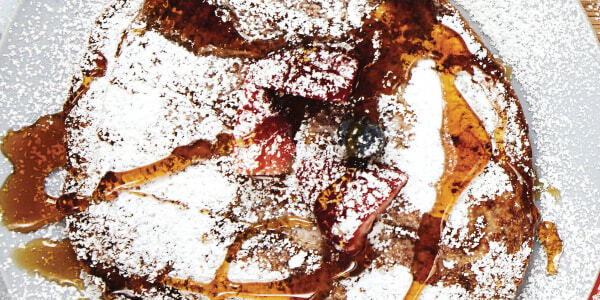 If you like fluffy and moist pancakes, you'll love adding this version to the morning repertoire.